I’ve made a resolution to live a more self reliant lifestyle in the new year. As part of my resolution I’ve set a list of goals and I’m taking part in a Self Reliance Challenge in January to kick start the coming year. I hope you’ll join the amazing group of bloggers who are taking part in this challenge! 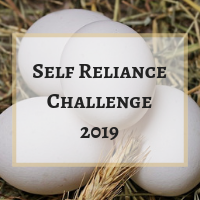 You can find links to all of the bloggers on my Self Reliance Challenge page. 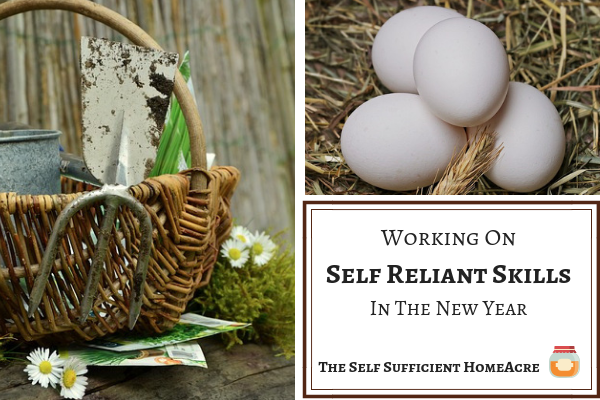 Follow our Self Reliance Challenge board on Pinterest! Some of these goals will not take place in January…it is too cold here in Northern Illinois! And some of these are things that I have done in the past, but not as regularly as I’d like. So I am resolving to make them part of our everyday lifestyle. We probably do more than the average family, but I know that we can do much more with the land and resources that we have. That’s why I am challenging myself to increase our self reliance this year. Sharing those efforts with my readers is a great way to keep on track! Here is another website you’ll enjoy… The New Homesteader’s Almanac. 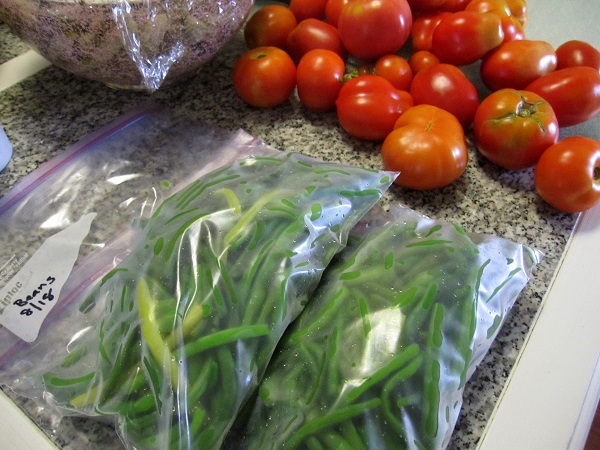 This new site is dedicated to sharing seasonal information for urban, suburban, and rural homesteaders. Stop by and read the article, 105 Ways to be More Self Reliant! This site is a participant in the Amazon Services LLC Associates Program. This affiliate advertising program allows me to earn fees by linking to Amazon.com and affiliated sites. You will not pay any extra for these products and I’ll earn a small commission to help support this free website. Be advised that Amazon places cookies on your browser. These are some excellent goals. I love the idea of working toward being more self-reliant. I’ve been trying to make a few changes recently to become more self-reliant and they have been wonderful so far. I am going to take some inspiration from this list and see what else I can do. Good luck with your goals for this year. I want to try to grow “dried” beans this year and picked up a few packets of seed at the Homesteaders of America conference in October. Specifically, I’m going to try my hand at black beans. What about you? Thank you, Stephanie. 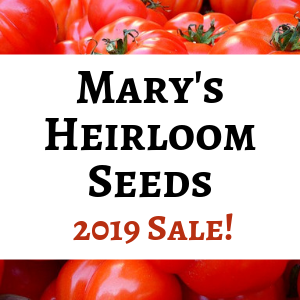 I need to look at my options…Mary’s Heirloom seeds has some nice varieties that I’d like to try this year. Best wishes with the black beans! Your plans sound great! Hatching chicks with a broody hen is life changing. I’m telling you, it’s the best and easiest route. After I’ve used a broody hen, I really dislike using heat lamps and a brooder. Yes! Oh my goodness…I’ve had a broody hen in the past, and I have a White Leghorn that has been trying to set on a nest…go figure! I hope she wants to raise a clutch in the spring! Thanks for stopping by, Bethany! You are an inspiration to all homesteaders! One day, I’d love to try hatching our own chicks. We do have a rooster—maybe something unplanned will happen this year. I’m so glad I read this! Thank you so much, Heidi! I hope you have a nice clutch of chicks in the spring! That’s an admirable list, Lisa. I hope you can make good progress on it! Thank you, Kathi! I’ve already started, lol! I love this! It is so inspiring! Plus the ideas are really easy to follow and implement. I am in Indiana and seriously thinking of starting some lettuce inside a cold frame outside. I don’t want to buy any with everything that is going on and winter grown lettuce is so tender! Thank you Sheri Ann! I would like to get some lettuce going inside. I don’t think it will make it in a cold frame outside in my area…I’m jealous! Lol! But you’re so right, I hate to buy the lettuce with all of the recalls going on. Love your list! Very impressive set of goals! Love the list! I’m amazed at what your family has already accomplished. This is very encouraging for those of us still making our way to self reliance. Thank you, Dianne! I’ve been working on this for quite some time. 🙂 Best wishes with your self reliance goals! I love this post, it really does well to take stock of what you know, and what you still need. I did the same after reading this post! You have a ton that you already do regularly, but there’s always more to learn, isn’t there? Thanks for inspiring me! Glad that it helped inspire you, Kristi! I love learning new things…so this is fun for me! So glad to be challenging myself with all the great cheerleaders in our group! So much to do to better ourselves and so little time. One thing at a time every season. Very true, Candy… Best wishes with your self reliance goals for the New Year. !